Saturday 13th March sees the Model Arts & Niland Gallery host the release of a new album by acclaimed Sligo Jazz guitarist Mike Nielsen. The new recording, entitled Osmosis, is a collaboration with the outstanding jazz singer Ellen Demos. The night promises to be a major jazz event, with the release of the CD and also a performance by both musicians. Born on the borders of 'Coleman Country', to a musical family, Nielsen began playing the ukulele at the age of four and is now widely accepted as one of the most innovative and original Jazz talents to come from Ireland. His breath-taking recitals have led him to perform across Europe, the Middle East and the USA, appearing at music festivals and also in solo shows. His extensive education and varied live experience, along with his exceptional musical talent, has made Nielsen a much sought after teacher. 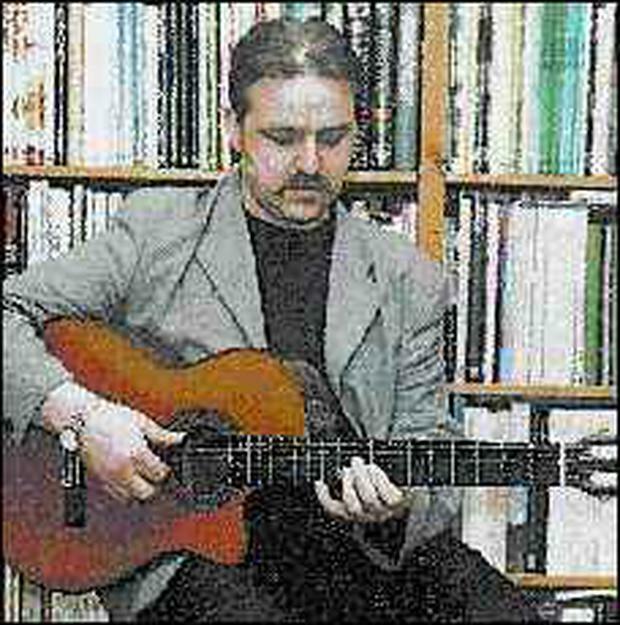 He gives lessons in Guitar and Jazz improvisation at several Dublin schools and also at the Dublin Conservatory of Music. He has also given many master classes across Europe and the USA. Never one to rest on his laurels, 2004 sees Nielsen embark on tours of Australia, Europe and the USA. The forthcoming album, Osmosis, is collaboration with the gifted Jazz vocalist Ellen Demos. Born in Boston Massachusetts, Ellen Demos began to sing at an early age and her education included formal training in voice and classical piano. Finding she didn't really have the temperament for the classics she made the leap to jazz and blues, which she pursued with energy and commitment. She has travelled extensively and has studied and performed various styles of ethnic, jazz and blues music. The pairing of Neilson and Demos is dazzling. Using an eclectic choice of material, these two artists combine their talents effortlessly to create a free flowing conversation that's not to be missed. The event begins at 8pm with the launch of Osmosis and will be followed by a performance in The Black Box. Tickets are ?12 or ?10 with a concession and include pre-show wine reception. Book now at the Model Arts and Niland Gallery, The Mall or call 071 914 1405. "Mike Nielsen is rapidly gaining a reputation as one of Europe's most distinctive and iconoclastic guitar voices, equally innovative on electric and acoustic guitars". – Sunday Tribune. "I have always loved Mike's unusual approach both to guitar and music in general. A truly unique, one of a kind voice, the music here burns with creativity and passion". Solo guitar CD sleeve note by Dave Liebman.